Middlesex University London is using National Apprenticeships Week (5-9 March) to remind Apprenticeship Levy-paying organisations in the construction sector that there are degree apprenticeship courses available to them which they can fund through the levy, despite the wait for new degree apprenticeships standards to be approved. The University is currently the only institution in the UK to be able to offer degree apprenticeships in Construction Site Management and Quantity Surveying and Commercial Management using the existing level 6 Construction Management frameworks, both of which are fundable through the levy. Apprentices who enrol on these programmes will be able to transfer seamlessly to the new apprenticeships standards when they have been signed-off by the Institute for Apprenticeships. Industry leaders such as Vinci and Interserve are among those who have already taken advantage of the programmes on offer at Middlesex. Darryll Bravenboer, Director of Apprenticeship and Skills at Middlesex says the University is keen to work with construction companies. “Middlesex University is in a unique position to be able to meet the needs of employers in the construction sector who pay the levy right now and want their employees to be able to access professional qualifications. “We have years of experience in the sector, having worked collaboratively with industry to develop the existing degree apprenticeships frameworks, and more recently with employers to develop the new standards that are awaiting approval. During National Apprenticeships Week, Middlesex University is also calling for greater collaboration between the Institute for Apprenticeships, employers and providers to be able to meet the Government’s ambitious target of three million apprenticeship starts by 2020. 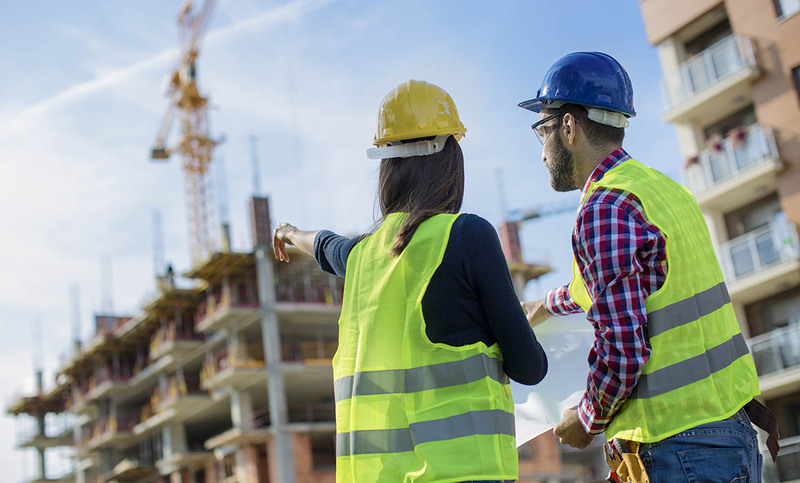 In addition to degree apprenticeships in Construction Management the University offers the Chartered Manager degree apprenticeships and is ready to offer B2B Sales Professional once the standard has been approved. We are developing and planning a range of other degree apprenticeships for launch this year including Accountancy Professional; Digital Technology Solutions Professional; Academic Professional; Senior Leader; and Commercial Airline Pilot – and working with public sector organisations to develop degree apprenticeships for Registered Nurses, Social Workers, Teachers and Police Constables. Charlie Chandler left school without qualifications aged just 14. After working for a few small firms and beginning a carpentry apprenticeship he had the option to progress to an HNC in construction, but chose instead to move to Vinci, where he took up a job as a working supervisor. Charlie decided to begin a BA Construction Site Management remote study degree apprenticeship with Middlesex University last autumn in order to learn the financial and managerial skills he needs to progress further up the ladder in the industry. “I want to carry on and be the best I can be” Charlie says. He was apprehensive before starting the two-year course because of his lack of formal academic qualifications. He sat a live exam in November which he passed and is now feeling very optimistic. He’s currently on the costings part of the course, finding rates and collating them into a huge spreadsheet. Charlie praises the flexibility of the degree apprenticeship, with lecturer Neville Webb – a former construction site engineer who still works as a consultant in the industry – travelling around the country to visit students in person and the London Chamber of Commerce offices in the City of London available for Charlie and his coursemates to work in. There are “people from very, very different backgrounds” doing the course - some like Charlie with plenty of practical experience, and others who have just left college.